TGIF! Wow….this week has been a blustery one! I’m pretty sure the gusts have blown me and my little car clear across the state and back with little need to fill up the gas tank. Certainly the winds have reminded us all that it is in fact fall…despite the beautiful weather we’ve enjoyed up until this week. And as the wind whistles and whips against the house, I am thankful for sweatshirts, cozy pants, and big down blankets. I am also thankful for a house to call home and hot soup to warm me from the inside out! Whether you are struggling to find comfort food in these first few weeks of chilly weather or are simply looking for a perfect tailgate pot of soup….this White Chicken Chili is guaranteed to fit the bill. Martha, from the Ivy Bake Shoppe, gave me the original recipe a couple of years ago and it has been a HIT each time I have shared it with friends or brought with me to a gathering. Give it a try this weekend! Briefly saute onions and garlic on stove until fragrant and onions are translucent. Add beans along with the water, oregano, jalapeno pepper, cayenne, cumin, cloves and chicken broth. Bring to a boil. Reduce heat and simmer 30 minutes. Add Rotel, lime juice and chicken. Cook 30 minutes, simmering. 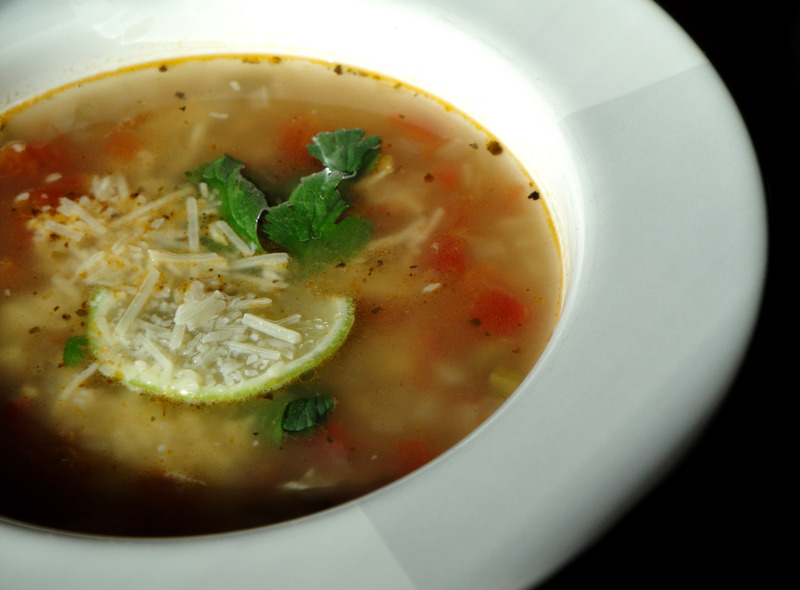 Sprinkle with parmesan cheese, a lime wedge, and fresh cilantro to serve. And best news yet, leave the parmesan off the top and you have a “Northcut-Inspired” GCFC meal. Thank you, Martha! « Older Post Back on the Bandwagon…	» Newer Post Hap…Hap… Happy Halloween! I have made this many times, and yes, always a hit! LOVE Martha’s recipes! yum…this was delicious! I just made it for my parents and everyone loved it… I used lentils instead of beans since we didn’t have any… and green chilis instead of jalapenos.